The ELITE Series seats are wrapped in thick, high quality suede or leatherette in a sleek, aggressive, race-inspired shape. The result is an understated yet unmistakable silhouette that is at the same time both understated and conspicuous. Spectators will be left scratching their head over their OEM look and aggressive aftermarket appeal. You and your passengers will be pleased to find a handle-type reclining mechanism for quick and easy, factory-like seat adjustments. Choose between nine total different color combinations for the perfect matching or contrasting interior. 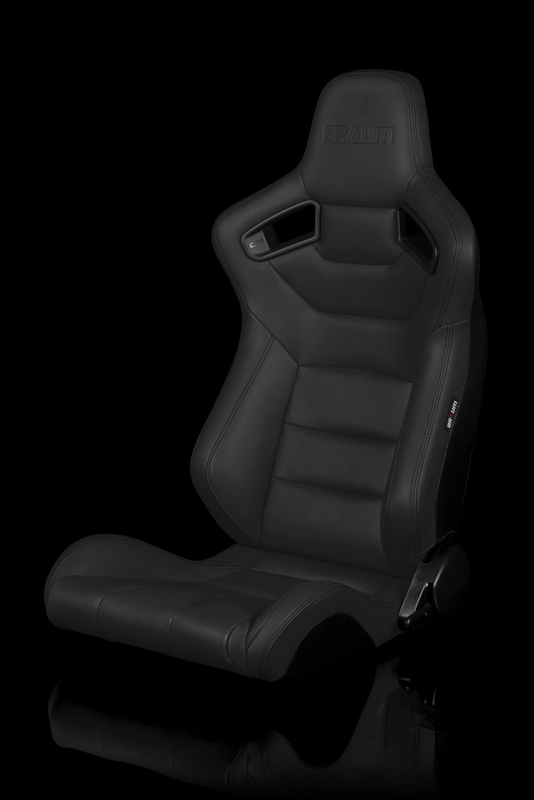 The ELITE Series are exclusive, all-new reclinable racing seats from BRAUM Racing. 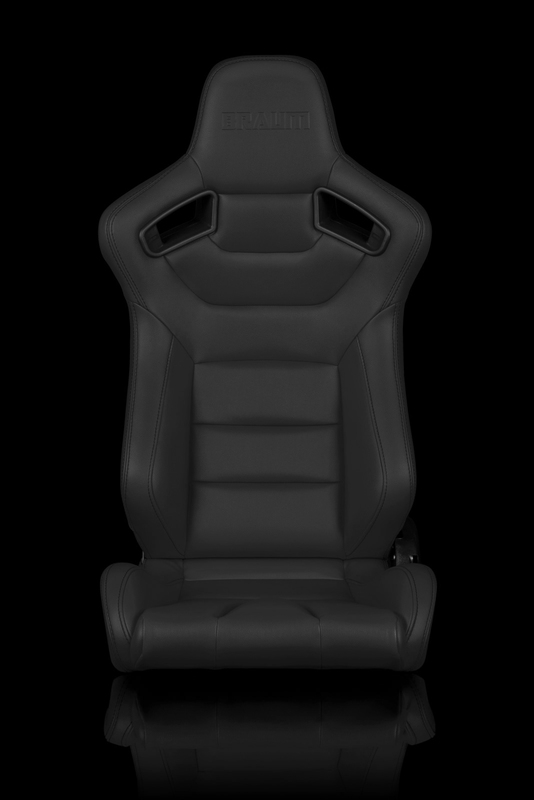 These seats are perfect for those who want to improve the looks, comfort and stability of their seats without sacrificing practicality. They feature a strong, lightweight tubular frame and injection molded foam for the ultimate combination of comfort, performance, and durability. The bolsters are pronounced and strategically shaped without being intrusive, so you can stay locked in and enjoy your drive without dreading the discomfort of ingress and egress that a fixed bucket seat would impose. The firm, high density foam provides excellent support while its heat and pressure sensitivity allows the cushion to soften and comply with your body’s shape for a more customized fit. 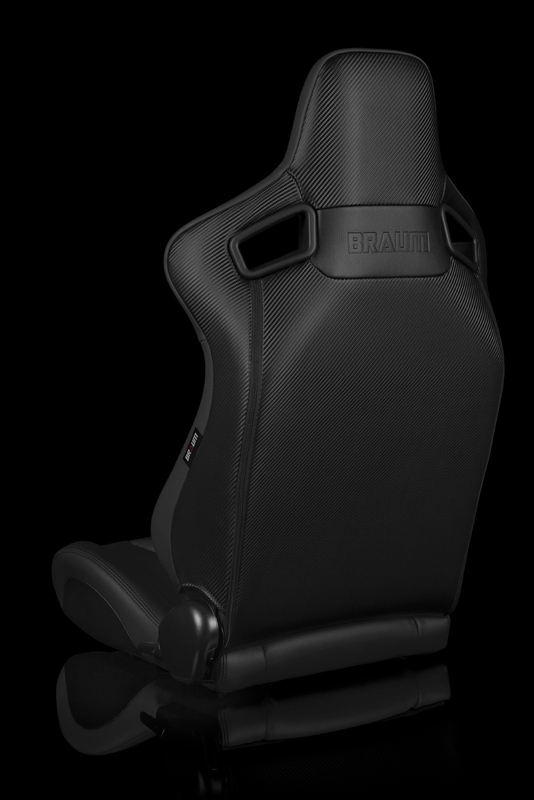 BRAUM does not guarantee the size fitment for any seats, harnesses and/or universal products due to varied vehicle interior dimensions and configurations. Please use the product dimensions provided to compare with your existing layout to determine fitment. BRAUM will not be held liable for incorrect assessments regarding fitment. Categories: Reclining Seats, Racing Seats. Vehicle Specific Seat Brackets Required. Custom Made in the USA by PLANTED. Install any aftermarket replacement seat in your vehicle with a high strength 3/16″ steel Planted Technology seat bracket brought to you by BRAUM Racing. They’re precision made in the USA and durable for an easy, reliable installation. They are finished with a black powder coat and applications are available for most cars. Unlike the factory seat belt, which is one belt attached to your vehicle at three locations, a race harness has multiple belts that wrap around your body, meeting at your lower torso. FIA-approved harnesses are sanctioned for track use for five years, while their SFI-approved counterparts are good for two.